Supplier of high quality products on a global basis for industries such as shipping, offshore and shipbuilding. Lifting & Marine Services Ltd is a leader in the design, manufacture and supply of high quality lifting, mooring and access equipment for use in all associated industries and environments. With a truly international presence which has been built up over the last 15 years, our high quality product range is vast and all equipment can be supplied with the relevant certification including LRS, ABS and DNV. LMS serves a variety of specialist markets which include the offshore oil, gas and petrochemical industry. 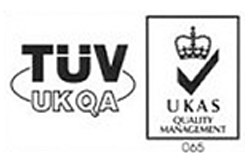 We also take quality very seriously which is why our company is an ISO 9001:2000 accredited business.